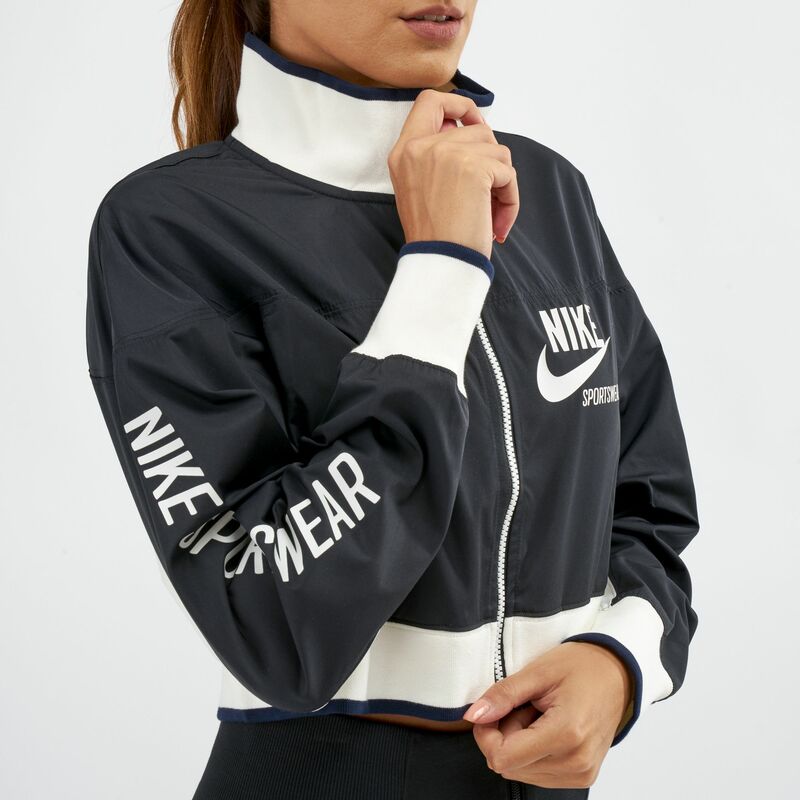 Wear comfort in the Nike Sportswear Archive Track Jacket for women. This jacket has a full zip design with high collar and cropped profile. The cuffs and hems are ribbed and it features the brand wordmark.